Bodybuilding.com's latest site updates! New products, pages, and info! Want to be the first to get the latest updates from Bodybuilding.com as soon as they're released? Bodybuilding.com offers RSS feeds, Twitter channels, and Facebook groups for all you news junkies out there! We offer numerous RSS feeds which you can add to your website or service via widgets or read using various third-party RSS news readers and mobile apps. 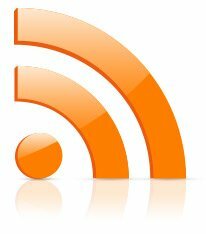 If you've used RSS feeds before, here they are, broken down by section - you know what to do. If you're new to RSS, see our helpful tips and instructions section at the bottom of this page for details. Note: additional topics coming soon! Note: additional women writers coming soon! Note: additional men writers coming soon! Note: additional group writers coming soon! Also, don't miss our Bodybuilding.com store Coupons & Promos Page and News Headlines Page! Also based on RSS technology, podcasts deliver audio information in much the same fashion as our RSS text headlines/articles (above). Information about our featured podcast feeds can be found here: Podcast Archive. RSS, also known as "Really Simple Syndication", is a popular method of sharing information (such as news headlines) without requiring you to sign up to our email notifications or constantly visit our website to see what's new. Bodybuilding.com's RSS feeds contain headlines, article snippets, and links. This enables you to "preview" each article, then click to view the full article if it's something you're interested in. This service is provided free-of-charge. Yes, Bodybuilding.com provides all of these RSS feeds for free. Additionally, many feedreaders are also free to download and use. Some commercial products do charge, but it is absolutely possible (and very common) to handle all your news handling for free. How Do I Read/Subscribe To These Feeds? Software applications known as "newsreaders", "feedreaders", or "aggregators" can collect, update and display RSS feeds from a wide variety of sources. Additionally, web-based and email-based options are also emerging. Typically, you can drag and drop the orange XML button (or copy and paste the link) into your feedreader, then click "subscribe". The application will then automatically go fetch the available news, display it to you, and periodically check it for updates. Voila! Each feedreader is slightly different, so you may find yourself testing several before picking your favorite. Some are standalone computer applications, some are web-based (nothing to download, just need a web browser), and some are iPhone/mobile apps. Aren't RSS And XML The Same Thing? RSS is a flavor or "brand" of XML. If news feeds were cars, then XML would mean "automobile", with RSS meaning "Ford" or "Toyota". Other flavors include RDF, Atom, and OPML. RSS is the most popular for news feeds.